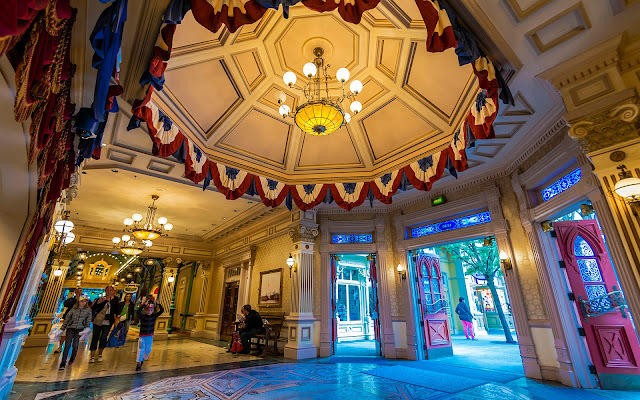 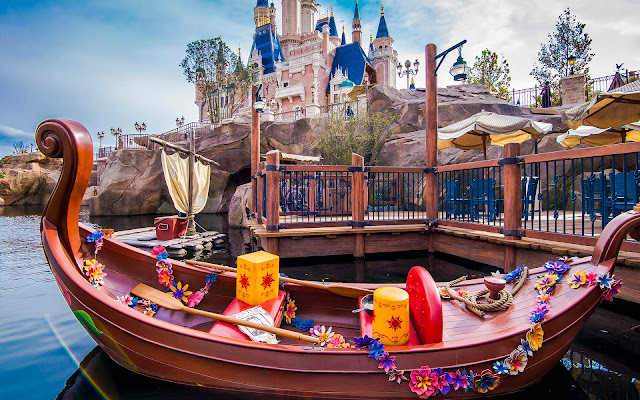 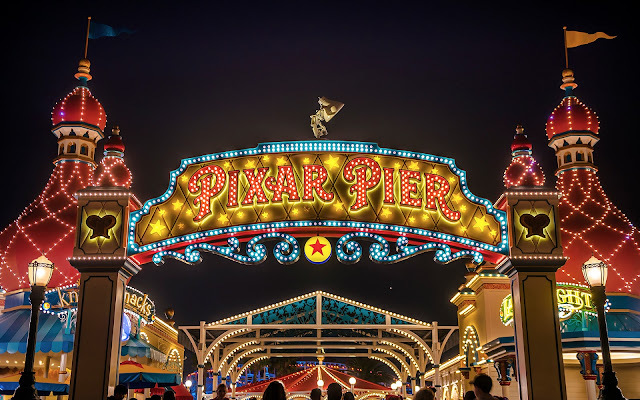 At Disneyland Paris, on either side of Main Street, U.S.A, there are indoor walkways that provide respite from the weather and an alternate means of getting up and down the area when the actual street is crowded or occupied with a parade. 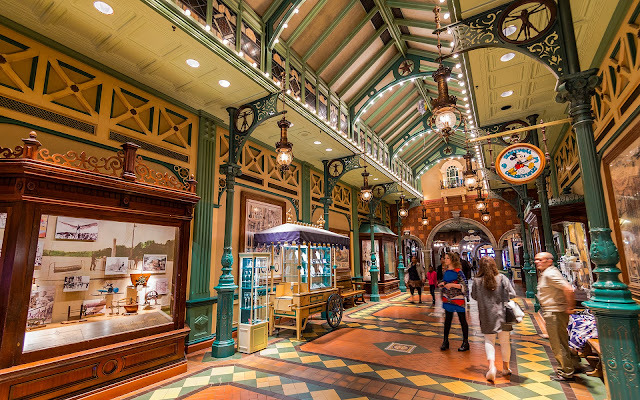 Facing the castle, Liberty Arcade--patterned after the centuries-old friendship between the United States and France, runs on the left side of Main Street. 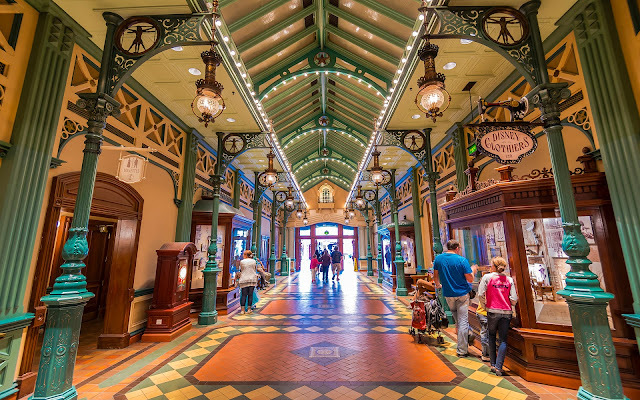 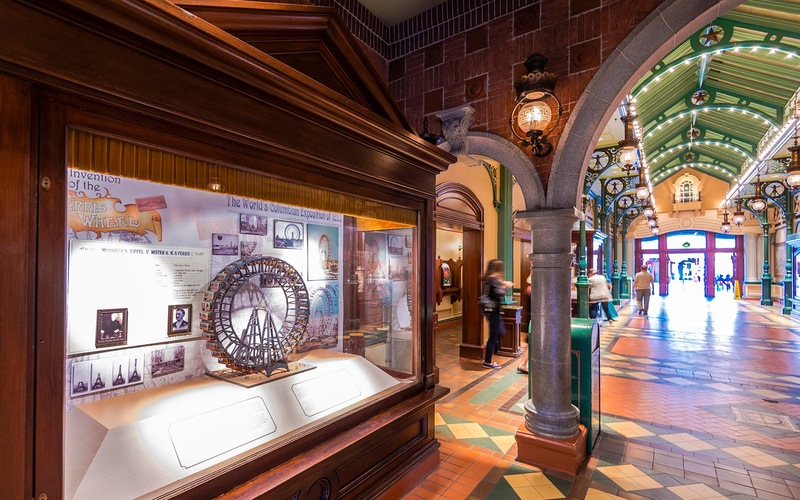 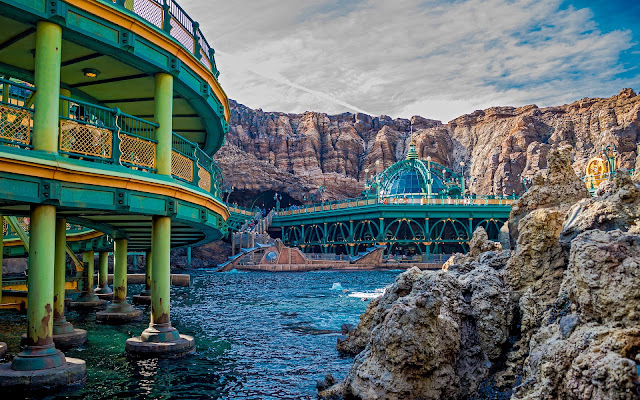 Discovery Arcade--patterned after the inventions of the 19th century, runs appropriately on the right side of Main Street, the same side as Discoveryland. 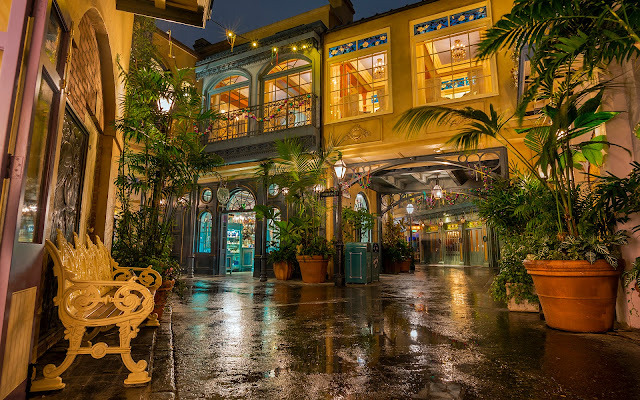 These pathways connect to the back of the Main Street shops and boutiques and also provide exhibits and displays that reinforce the Victorian atmosphere of the area. 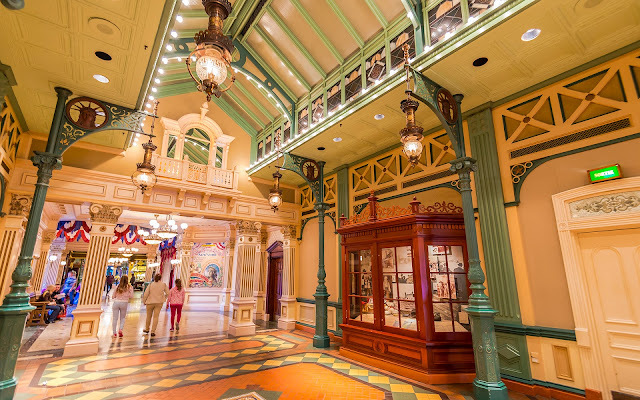 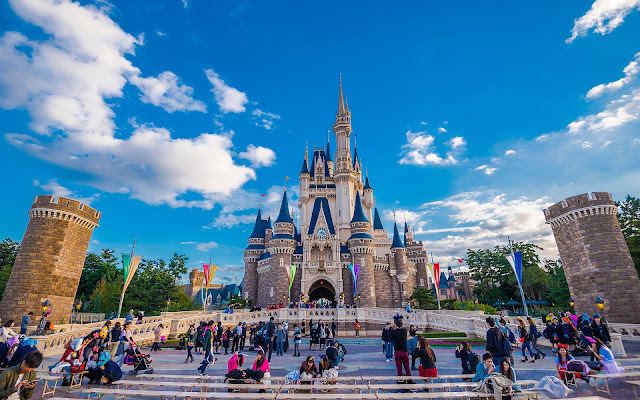 They're a beautiful and quiet respite from the bustle of Main Street itself, and they're absolutely lovely to stroll through--whether or not you're trying to get away from the crowds! Discovery Arcade runs along the "east" side of Main Street. 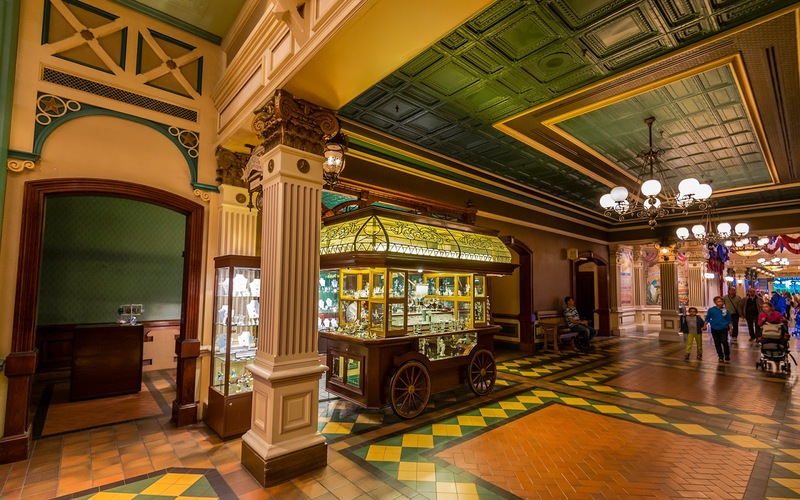 Some crystalware on display at a cart. A foyer opens up to the outside. 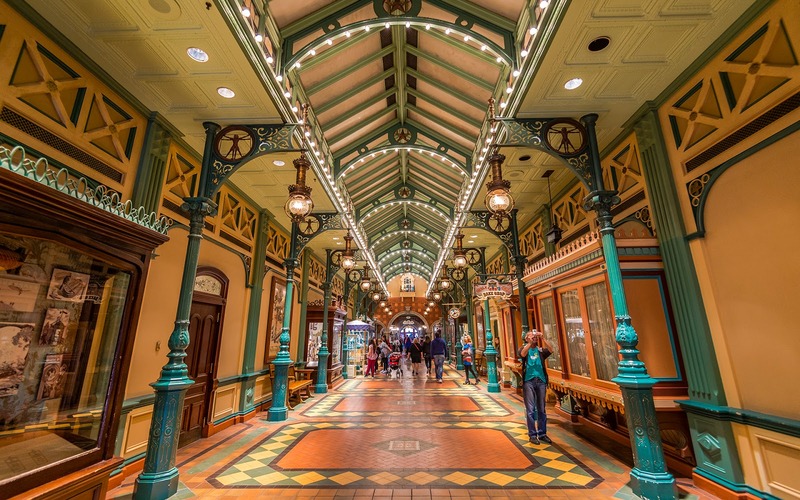 Liberty Arcade runs along the west. 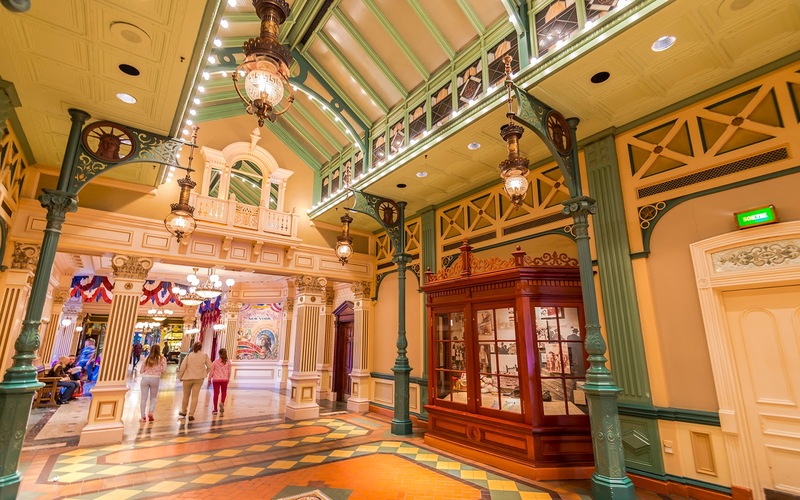 Although these are basically hallways, they feature elaborate theming. The atmosphere is not unlike an indoor European mall. 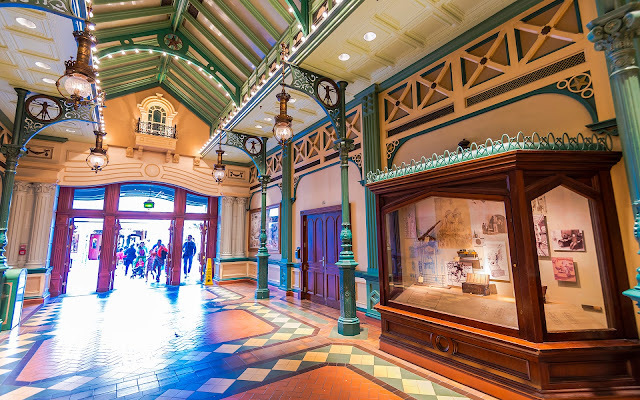 Various exhibits line the arcades. 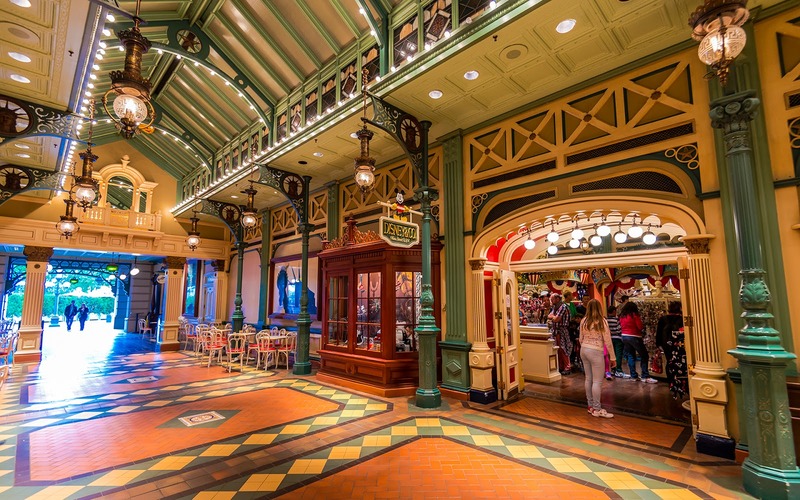 A back entrance into Disney Clothiers.